I came across an article by The Gospel Coalition (TGC) this morning called "9 Things You Should Know about Jewish High Holy Days." And it was insightful as it explained some of the traditions in Judaism surrounding the feast days known as Yom Teruah (Day of Shouting/Trumpet blowing), or more commonly known today as Rosh Hashana (Jewish New Year), and The Day of Atonement. The article's author includes things such as the period of repentance, the etymology of holiday, and the extent of fasting on Yom Kippur. But alongside my sense of interest was also a sense of disappointment. These two festivals that were given by God and recorded in scripture were treated by the author as nothing more than cultural phenomena. Instead of a theological or exegetical treatise, which is more of what I expect from TGC, the article read more like an anthropological paper. Now, the title did say 'Jewish' High Holy Days, and the title High Holy days is a cultural invention, so the title does lend itself to cultural focus. Nonetheless, these days are rooted in scripture as part of God's redemptive story leading to Christ, and for a reformed/Calvinist organisation like TGC to ignore this is surprising. But perhaps by keeping the High Holy Days at arms length, they don't have to consider any potential relevance to Christians today as well as retaining the feast days' supposed Jewish label. Thus, the modality of the article's title is off. How Jews celebrate the High Holy Days: nice to know. 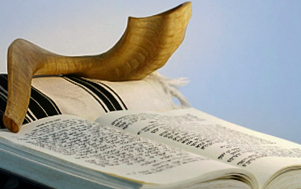 How the High Holy Days reveal God's redemptive plan: what Christians should know. 1. The feast days aren't Jewish. So to label the High Holy Days, or any other feast day as Jewish is not biblical. Since they are God's feasts, we cannot attribute them to the Jews only since the Lord is God over all people (Rom 3:29), thus His feast days are for all people too. Moreover, when God gave the Law, which includes the feast days, He said that it applies to the stranger (Gentile) who resides among them who wants to worship God in an equal manner as the native Israelite. In fact there are times in the Prophets when God invites Gentiles to celebrate them (Isa 56:6, 66:23; Zech 14:16). 2. They reveal the holiness of God. That they are the feasts of a Holy God, it's no surprise that they should include a holy convocation and a day of rest, as is reflected in the holiness of the Sabbath that was established in Genesis 2:1-3. More specifically, as the High Holy Days, they are a time to reflect on whether the Holy Nation of a Holy God are walking in His ways. 3. They reveal the importance for God's people to remember. The first of the High Holy Days is not actually given a name in scripture. Rather, it is simply described as a memorial. Later developments in the Bible, especially the Psalms, reveal that it is a day to remember that God is King. Flowing from His role as King, the one whose job it is to execute justice, the Day of Atonement reminds people of the need to walk in his ways and be in right standing with Him. Although these are to be remembered daily, an annual time for deep specific reflection shows that God wants to ensure His people remember. 4. They reveal the need for atonement. Yom Kippur was given as a day for national atonement and cleansing of the Most Holy Place for the sins of Israel not covered by the daily sacrifices. For a Holy God to dwell among sinful people, sin needs to be atoned for. 5. They reveal the need for repentance. The ritual of Yom Kippur was able to cleanse the Most Holy Place, however the ceremony did nothing for individuals' relationship with God. This is why on the day of Yom Kippur, individuals would participate and connect themselves with the cultic work of the High Priest by being in prayer and repentance for their sins. Over time after the destruction of the Temple, the time between the two feast days evolved into the 10 Days of Awe as the people prepared themselves for the day. 6. They foreshadow the priesthood of Christ. The book of Hebrews spends much time connecting the sacrifices on The Day of Atonement with that of Jesus' sacrifice. One way that it does this is by showing the imperfect/sinful nature of the High Priest who was unable to completely atone for the sins of the people. Thus the original Day of Atonement was looking forward to a perfect priest who could perfectly atone for the people's sin. 7. They foreshadow the work of Christ. The Day of Atonement sacrifices were able to cleanse the sins from the Holy Place, which is a shadow of the true Holy Place, but unable to cleanse the sins from people's consciences. Moreover, the sacrifice needed to be repeated every year. 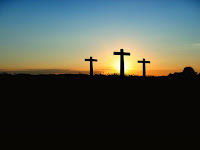 But, as the author of Hebrews explains, the work of Christ on the cross was a once for all sacrifice that was able to be applied in the true Most Holy Place. Thus the sacrifices of the Day of Atonement were looking forward to a time when people's sins would be thoroughly atoned for. 8. They foreshadow the return of Christ. As well as pointing to the person and work of Christ, the feast days, which include the Day of Memorial and Day of Atonement, are a shadow of "things to come" (Col 2:17) which shows that they foreshadow the events of the last days, often referred to by theologians as the eschaton. The Day of Memorial which involves the blowing of a trumpet points us to the return of Christ. Specifically, Matthew 24, 1 Corinthians 15, and 1 Thessalonians 4 describe the descent of Christ and the resurrection as being preceded by a trumpet blast. 9. They foreshadow the final judgement. The Day of Atonement, which reveals the need for forgiveness of sins, points us to the day of judgement when the atoning work of Christ will come into full effect as those who have put their faith in Christ are declared righteous and spared from the wrath of God. So as we have seen, these two feast days are not simply cultural phenomena, although a number of cultural traditions have been added to them. As with the other feast days of the Lord, they are reminders of the character and purposes of God that reveal His plan of salvation through our Messiah, Jesus. Joe Carter, "9 Things You Should Know About Jewish High Holy Days", The Gospel Coalition, 26 Sept 2017, www.thegospelcoalition.org/article/9-things-you-should-know-about-jewish-high-holy-days. Reuven Hammer, Entering the High Holy Days: A Complete Guide to the History, Prayers and Themes. JPS: Philadelphia. 2005. I have been blogging here for a bit over two years now and I have found it valuable because it has been a great way for me to work through a number of theological matters "out loud." By making my thinking and research 'public', it has forced me to make sure I am being thorough and honest with the Word. But it has also been good to get my theological views out there, in the hope that it will make some people think about how they engage with the word. I also hope that in my writings I have been gracious. I've been read in 10 countries. My most popular post was on what Jesus taught about the Law. The second most popular was Part 1 of my response to John Piper on the food laws. To sum up the purpose of Berean Baptists, these have mainly been apologetic works that argue for a place for the Law in the 'New Covenant.' But I am wanting to go in a new direction beginning early next month. This time I want to take an exegetical angle going through the first 5 books of the Bible, which are often referred to as The Pentateuch, or The Law, connecting them meaningfully to The New Testament. How will I do this? Well I'm not going to go through verse by verse like a commentary, but rather I will be basing my posts around what are known as 'Torah Portions.' According to tradition, after the exile Ezra divided the Law into 54 different segments that are to be read each week. The oldest tradition suggests this was a three year cycle, but now most follow a one year cycle that begins after the Feast of Tabernacles. The legitimacy of whether Ezra invented them is difficult to establish, but none the less, they make for a useful annual reading plan. So each week, I will be picking highlights from each portion and looking at what they have to say to us today. Help me come up with a title. I was thinking of Niphlaot, which is the Hebrew behind "Open my eyes, that I may behold the wondrous things out of your Torah" (Ps 119:18), but I'm not 100% happy with it. 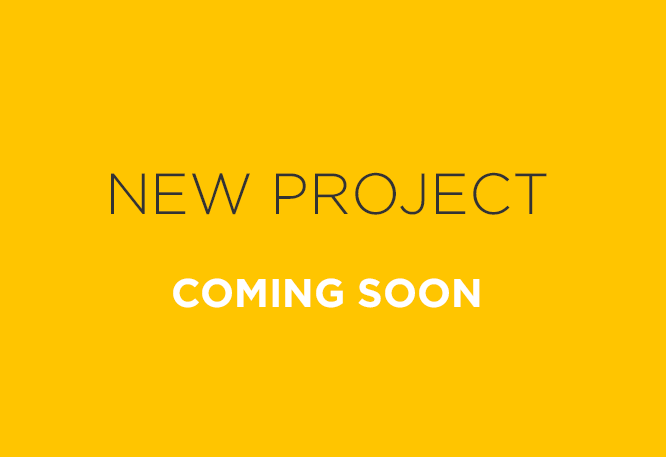 So for those with a more creative mind than mind, I'd love to hear your ideas. If you consider yourself a writer and have experience in exegetical preaching, and you would like to make a contribution, let me know and we can organise a passage for you to write on. You don't even have to write something I'd completely agree with. As long as you're using scripture honestly, I'd be happy to post it. I think there is value in sharing different ideas as you may have insights I don't, thus creating a richer collection. Subscribe, and follow along with the reading plan which is available online in many places. Even the busy Christian can fit 4-6 chapters in a week. I believe this is a project that can help us, including me, grow in our knowledge and understanding of God's Word. All Scripture is useful for the followers of Christ, which includes the Pentateuch, and by studying these books which lay the foundation for our knowledge of the person and work of Jesus our Messiah, we can grow in our wisdom and appreciation of our Creator. Are we treating the Bible like Netflix Pt2? In part 1, we considered how many people pick and choose which parts of the Bible to apply to to their lives, much like people pick and choose different programs on Netflix. This can be said of a number of Christians with regards to getting rid of, or moving the Sabbath, despite scriptures lack of explicit mention. Now, in part 2, we will consider the verses typically used to support those positions. Two are found in Colossians 2. First, many will cite verse 14: “Blotting out the handwriting of ordinances that was against us, which was contrary to us, and took it out of the way, nailing it to his cross” (KJV), and say that the Law was nailed to the cross, thus doing away with the Sabbath. The conclusion from this is, the Sabbath was pointing towards Christ, and now that He has come he has abolished the Sabbath. Firstly, it is true that none should pass judgement and condemn someone as outside the covenant because of the Sabbath. But that is because we enter the covenant by faith, and not by obedience. Yet, as Paul explains in Romans 6, this grace is not a free pass to disobey God. Thirdly, we need to note the tense of the verbs ‘to be’ and ‘to come’ in verse 17. Many read this as ‘These were a shadow of things to come’, or ‘These are a shadow of things that have come…’ But is says that they are (present tense) of things to come (future).’ The full substance had not arrived when Paul wrote it, which means the Christ event (death, burial, resurrection, ascension) could not have nullified the need for the Sabbath. Rather, as Hebrews 4 explains, the Sabbath points us towards the eternal rest in the world to come. That reality has not come yet. So, what was Paul talking about in Colossians 2 then? Therefore let no one pass judgement on you… with regard to how you keep a festival or a new moon or a Sabbath. Although these are a shadow of the things to come, be encouraged, because the substance belongs to Christ. Therefore, it appears that the very opposite of what is claimed is true, namely, Paul was encouraging them to persevere in their Sabbath observance. Another verse comes from Romans with a similar argument to Colossians 2. One person esteems one day as better than another, while another esteems all days alike. Each one should be fully convinced in his own mind. The one who observes the day, observes it in honour of the Lord... (Rom 14:5-6). Based on this verse, it is claimed that Paul is telling the believers in Rome; ‘you can do what you want. If you want to keep the Sabbath, then that’s okay. Just don’t tell anyone else they have to.’ But is this what is happening? Is Paul relativising one of the Ten Commandments? To understand the context of what Paul is saying, we need to go back to the beginning of chapter 14. There we find a couple of key things that can help us understand verses 5-6. Firstly, when we go back to verse one, we see Paul telling his audience “not to quarrel over opinions.” I wasn’t aware that the commandments of God are opinions. I wouldn’t consider God telling people to ‘rest on the seventh day’, was an opinion. So, it seems unlikely Paul would be talking about the Sabbath. In fact, the word Sabbath does not appear in that verse, or the chapter, or anywhere in the entire book of Romans. One needs to read Sabbath into the word, day. So even within verses, people are doing a Netflix selection. Thus, it follows that ‘the day’ in verses 5-6 refers to fasting. Therefore, the entire context of the chapter is all about opinions about what and when people can eat. Indeed, fasting had become a popular practice for Jews in the second temple period, with many becoming dogmatic on what day one should fast. This appears to have continued into the second century as the Didache addresses when Christians should fast. Thus, it appears that one of the number of conflicts between the Jews and Gentiles in the church in Rome that Paul addresses in his letter, was days of fasting. This would suit the category of ‘opinion’ as the Law does not prescribe when to fast, let alone the practice, and it reflects the repeated theme of food. Another argument, is that the early church in Acts began gathering on Sunday instead of the Sabbath because that was the day Jesus rose from the grave. This claim is somewhat weak because there are only two verses in the New Testament that have any reference to doing anything on the ‘first day’ (Sunday). In fact, it is even possible that they had gathered on the Saturday evening (which in Jewish reckoning was considered the beginning of the first day) to celebrate the Havdalah as the Sabbath came to a close. Also, the reference in 1 Corinthians 16 gives no description of gathering, worship or even that it was to be repeated. In fact it is most likely a one off, if not annual, collection for the poor and that Paul was simply suggesting that on the first day, people were to set aside money. That people were to give money at their gathering is an anachronistic reading of modern ‘church practices’ back into the first century context. Is it possible they were gathering on Sunday to take up an offering for the poor? Perhaps. Considering the historical context, it could even be at a Havdalah gathering as mentioned above. But the passage is silent on that so we cannot say for certain either way. So we cannot, like Mr DeYoung, say: “1 Corinthians 16:1-2 speaks of gathering on the first day of the week”, because it simply doesn’t. “I was in the Spirit on the Lord's day…” (Rev 1:10). This one and only mention in the New Testament to the Lord’s Day, and is often understood as a reference to a Sunday Sabbath. However, in reading the text, one would not come to that conclusion as John does not elaborate or describe on the term. There’s no mention of rest, Sabbath, or convocation. In order to connect this passage with a Sunday Sabbath, one needs to refer to the second century church fathers’ writings which refer to Sunday as ‘the Lord’s Day.’ But is that what John was referring to? I would argue that John was actually talking about being taken by the Spirit to observe ‘the Day of the Lord’ as described in the prophetic books like Joel. In Revelation 1:10, the Greek for the Lord’s Day, kuriake emera, is reflective of the Hebrew phrase ‘day of the Lord’, yom YHVH, which creates the emphasis on YHVH (Yehovah) by placing it second. This reflects John’s Greek which creates emphasis by placing it first and using what is called the ‘dative case’ which in the Greek grammar gives a strong personal connection to that day. In a time when the early church was being persecuted, they needed to know that the Lord was in charge of the future, which is why John put that emphasis on the final day being the Lord's day. God, would have the final say in history. Although the Lord's Day, and the Day of the Lord appear to be slightly two different things, it needs to be noted that Hebrew does not have the adjective possessive form, Lord’s, and instead reads ‘…of the Lord.’ Consider too how the contents of the Book of Revelation reflect the definition of ‘The Day of the Lord’, which according to Shubert Spero is "a day of judgment in which the old and its incorrigible corruption must first be burned away." It is this connection, I believe, that makes the strongest case that in mentioning 'the Lord's Day', John was referring to the final day of judgement that he was witnessing in his vision. Considering the biblical evidence, and analysing the wider context of the common Sunday Sabbath proof texts, it becomes apparent that one needs to look beyond Scripture to the early church fathers, who in their efforts to distance themselves from ‘those evil, Christ killing Jews’ (e.g. Justin, Trypho. 18), and anything that looked Jewish such as the Sabbath, to support a changing of the Sabbath to Sunday. There is much more that could be said about the Sabbath in the New Covenant, and I go into much further detail in a book I am working on called “Testing the Sabbath”. But what I have written here should be sufficient to clearly see that there is no biblical support for changing or abolishing the seventh day Sabbath for the Christian. And if this is the case, and the followers of Jesus are supposed to take His words seriously, then maybe we should reconsider our interpretations of Paul in light of Jesus in Matthew 5:17. As I mentioned above, if we are contradicting Jesus’ words by saying that commandments have been done away with, then we need to seriously rethink our theology. If we are ignoring clear scripture like we ignore shows and movies on Netflix, then we need to rethink our attitude to God’s word. Kevin DeYoung, "A Festive Day of Rest", University Reformed Church, Oct 2016. Shubert Spero, Holocaust and Return to Zion (New York: Ktav Publishing House, 2000) p. 85. Max Turner. “The Sabbath, Sunday, and the Law in Luke/Acts”, From Sabbath to Lord’s Day. Ed. D.A Carson. Zondervan: Grand Rapids, 1982. p99-158. 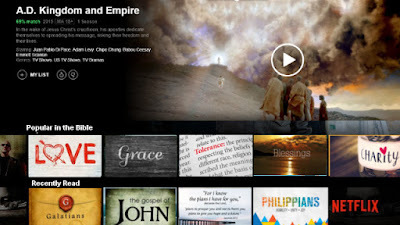 Are we treating the Bible like Netflix Pt1? When I was studying at University, one of the most interesting courses I took was called ‘Television and Popular Culture.’ The course was centred around the question of: ‘what is television?’ Before you say, ‘it’s that rectangle thing that has the pictures on it,’ the question is much more philosophical than that. When you consider the content of those pictures, you begin to understand that television is a public service, a commodity, a window to the world, a market place, and an experience. One of the things we covered was the evolving shape of television as technology has changed, in particular, the development of on-demand-viewing services like Netflix. Because of this service, the television experience is more individual as the population sits down less frequently at the same time to watch the same show. Almost gone are the days when people say, ‘did you watch that episode of X last night?’ Now it is, ‘what episode are you up to?’ People are also watching a wider range of different shows. In the past, not everyone watched the same shows. But now, because there is a wider choice of programs, with the freedom to watch what you want when you want, when you ask people what they are watching, the answers back are much more diverse. In a way, television has become much more ‘customisable.’ If there is a show you don’t want to watch, then you can just ignore it and watch something else. Of course, in the past people still avoided shows, but we were still at the mercy of the broadcasters. And if there was nothing you liked on any channel, you either watched it because you were bored, or you went without. Television has now become the buffet table. What is interesting is that people who profess Jesus as saviour approach their Bible in the same way as they are treating the Bible like Netflix. But this is nothing new. They pick and choose what they want to read, and ignore a number of Biblical truths. They like the salvation thing, but are not interested in changing. They might like to be a ‘good person’, but not concerned about holiness. Or they might stand for righteousness, but not all of it. As the people of God forgiven and redeemed by the blood of Jesus, we need to take His words seriously. As Paul said to Timothy in that often-quoted passage: “All Scripture is breathed out by God and profitable for teaching, for reproof, for correction, and for training in righteousness…” (2Tim 3:16). Not some, ALL is from God, and ALL is profitable for correction and righteousness. What is interesting is that for many Christians who agree with Kevin with regards to watching Game of Thrones, it’s ‘baffling that the Sabbath gets a free pass.’ Many Christians today are indifferent to the Sabbath, let alone whether it should be on a Saturday or a Sunday. According to Rick Warren, “The day isn’t important. It doesn’t have to be a certain day, just every seventh day.” Many spiritualise it to the point where a 5 minute prayer time is a Sabbath. But the Sabbath is one of God’s Ten Commandments. If we want to say that we take God’s word seriously, then we need to take this commandment, the one that is the longest and most repeated in the Old Testament seriously. In a sermon on the Sabbath, Kevin DeYoung said that “the Mosaic Sabbath is no longer incumbent upon Christians”, and that Jesus moved it to Sunday, ‘the Lord’s day.’ And this is a position that can be said is held by a vast majority of Christians. So, this is not a response to, or attack on Mr DeYoung, but rather a testing and challenge against the idea that he, like many others, are expressing. Can we base this position on scripture, or is obedience to the fourth commandment being given a free pass? So how many verses say that the Sabbath has been changed, or done away with? There is no passage in scripture that says ‘the Sabbath is done away with’, and there is nothing about changing it to Sunday. And if it had been changed, but the Bible is so silent about it, then I find that incredibly surprising. The observance of the Sabbath in the first century was significantly important for the Jews. They considered it, albeit wrongly, as one of the key things that set them apart from the rest of the world and therefore one of the things that guaranteed their place in the world to come. It was given even greater status as church attendance in the 50’s, or speaking in tongues for the hyper-charismatic: ‘you’re not a real believer unless you do it.’ So, for the New Testament, written primarily by Jews for people of what was considered a Jewish sect, to be that silent on a change of the Sabbath is quite odd. In light of this silence, how do people conclude that the Sabbath is no longer binding or changed? Well, typically it is based on a few key verses that one could say implicitly suggest that the Sabbath has been done away, if not changed. In part 2, we will have a look at these key verses. Rick Warran, "A Prayer for the Sabbath", Crosswalk.com, Oct 2016. Kevin DeYoung, "I don’t understand Christians watching Game of Thrones", thegospelcoalition.org, Aug 2017. In our last post, we saw that based on the way Jesus at the Last Supper, and much of the New Testament, connected the crucifixion, Passover, and the bread and wine, we could rephrase 1Cor 11:26 as follows: “For as often as you eat the Passover bread and drink the Passover wine, you proclaim the Lord's death until he comes.” But does this, however, fit the wider context of Paul’s first letter to Corinth? To do this, we will look at the immediate textual and historical context of 1 Corinthians 11:17-34, and then look at a number of the preceding chapters to see if Paul was encouraging the Christians at Corinth to celebrate Passover to memorialise the death and resurrection of Jesus. When you come together, it is not the Lord's supper that you eat. For in eating, each one goes ahead with his own meal. One goes hungry, another gets drunk (1Cor 11:20-21). Here Paul is telling them to ‘celebrate the festival.’ Which festival? He told us in the preceding sentence; the ‘Passover’ festival, of which Jesus is the Lamb. Now, one could argue that Paul is just being metaphorical here about celebrating Passover, and that to celebrate the Passover is to live in sincerity and truth. But as we can see, Paul is rebuking the Corinthians for celebrating Passover without doing in their hearts what the act of removing of leaven during Unleavened Bread was supposed to represent; repenting of their old ways. Or perhaps he was just saying, ‘if you’re going to celebrate Passover, do it by…’ But we don’t see that optional language there. Consider, for example, if I told my child “go wash your hands with soap”, I’m not telling him that he can wash his hands if he wants, and if he does; use soap. I’m telling him, ‘you should wash your hands, and use soap when you do.’ Now, granted Paul’s focus is not so much to tell them to keep Passover, but rather that they should do so with a purified heart, as represented by the removal of leavened bread. Nonetheless, it does appear that celebrating the Passover was a given. Thus, the content of chapters 5:1 to 11:22 is Paul describing what removing the old leaven should look like. Your new moons and your appointed feasts my soul hates; they have become a burden to me; I am weary of bearing them. When you spread out your hands, I will hide my eyes from you; even though you make many prayers, I will not listen; your hands are full of blood. Wash yourselves; make yourselves clean; remove the evil of your deeds from before my eyes; cease to do evil, learn to do good; seek justice, correct oppression; bring justice to the fatherless, plead the widow's cause (Isa 2:14-17). This was the similar problem with the Corinthians as they were ‘celebrating the festival’ with unrepentant hearts that had no concern for others. That Paul focuses on Passover specifically, rather than all worship in general, is that Passover is a time to celebrate God’s redemption of His people from the world, and the way they were living did not reflect the life of the one redeemed by Jesus ‘the Passover lamb’: There was sexual immorality (Ch 5-7), believers were suing each other (Ch 6), making each other stumble (Ch 8), upholding their individual rights above the rights of others (Ch 9-10), flirting with idolatry (Ch 10), and dishonouring one another (Ch 11). Thus, to eat ‘the bread or drinks the cup of the Lord in an unworthy manner’ is to do ‘so without examining oneself’ and repenting of sins, such as the ones mentioned above, lest they ‘eat and drink judgment on themselves.’ And this is what was happening in the church in Corinth since, as Paul says, “many of you are weak and ill, and some have died” (1Cor 11:27-30). And it for this reason that back in chapter 5, Paul instructs the Corinthians, and us today, to ‘cleanse out the old leaven’ (old sinful nature) and ‘celebrate [Passover] in sincerity and truth’. 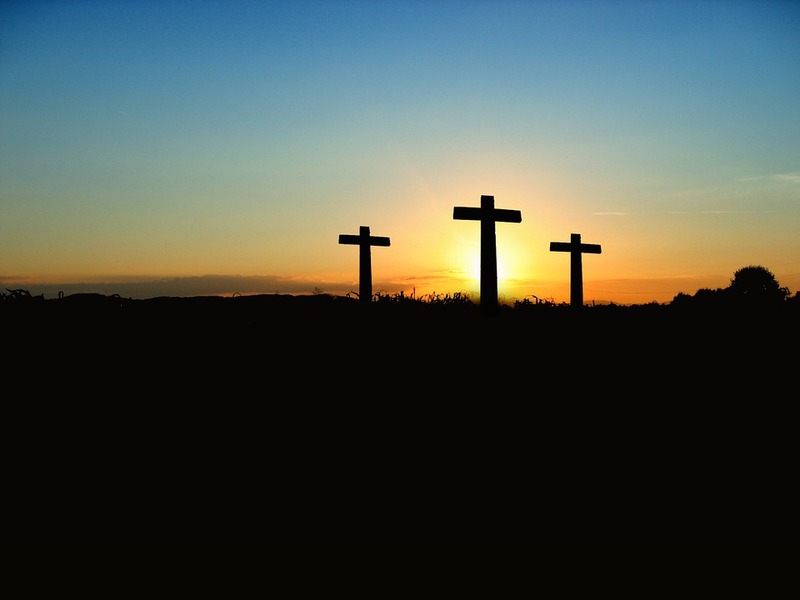 To come back to the original question of this series, ‘how are we to memorialise the death and resurrection of Jesus?’, the biblical evidence seems to be Passover, which we in Modern English terms refer to as Easter. We have Jesus celebrating Passover, telling His disciples ‘do this in memory of me’. And we have Paul telling the Corinthians, ‘celebrate the festival’ to proclaim the Lord’s death until He comes. Does this mean we should be all having a full blown Rabbinic Passover Seder? But didn’t Paul say in Colossians 2:16-17 that Passover, and the other feasts, are now irrelevant and unnecessary? I have dealt with this more extensively in September Celebrations: Pointing to Christ, but the short answer to this is that this passage has been often misread as Paul says the full significance of the feasts in Christ is to come; future tense. But even if they were unnecessary, surely the meaningful symbology and significance of Passover over and against chocolate eggs should motivate us to do so. In the Passover, we remember our Exodus from sin and death and how God through Jesus delivers and redeems us ‘with outstretched arms upon the cross’ to set us apart as His special people, which gives us hope of our ultimate final deliverance from Satan sin and death in the New Heavens and Earth. And that’s just scratching the surface. Obviously, we don’t need the symbology of Passover to reflect on those things, but the depth of meaning they provide, and the intentionality and effort that goes towards preparing for, and the joy that comes from celebrating a feast, I think, is worthy of the significance of what was achieved in the Passion event. Previously, we saw how our Easter celebrations should be more significant than our Christmas parties. How, then are we to memorialise the pinnacle event of History? What does Scripture have to say? Eosturmonath has a name which is now translated "Paschal month", and which was once called after a goddess of theirs named Eostre, in whose honour feasts were celebrated in that month. Now they designate that Paschal season by her name, calling the joys of the new rite by the time-honoured name of the old observance (in Wallis 1999, p54). So even by the 8th century, the remembrance of the death and resurrection of Jesus was still referred to as ‘Passover’. In fact, the word Easter seems to have only come into usage around the time of the Reformation in the 16th Century. One of the oldest examples seems to be in Martin Luther’s German translation of the Bible when he translated the Greek pascha (Passover) into Osterfest in verses such as Luke 2:41. And shortly after, Tyndale used the English variant Easter in his translation. However, the English and German speaking world seems to be the only ones who use ‘Easter’, while many others continued to use variations of the Greek Pascha. For example, in Spanish: Pascua, Dutch: Pasen, and in Afrikaans: Paasfees. It appears, therefore, that at least etymologically, Passover is closer to how the early church memorialised the death and resurrection of our Messiah than chocolate eggs and a mythical rabbit. I intend to cover the historical journey from Passover to Easter in a future post, however for now, I want to focus on what the Apostolic writers and Jesus had to say about Easter. How does Scripture tell us to memorialise the death and resurrection of Jesus? Of course, remembering and celebrating the resurrection of Jesus should be a daily occurrence, just as celebrating and honouring one’s marriage should be a regular occurrence. But is there a sense in which it should be memorialised more significantly like a birthday or anniversary? We find two significant passages of scripture that tells us to remember the death and resurrection of Jesus, and how, which are tied to the one event: The Lord’s Supper. One passage is from 1 Corinthians 11:23-26, and is a retelling of what Jesus said to His disciples at His last supper. For I received from the Lord what I also delivered to you, that the Lord Jesus on the night when he was betrayed took bread, and when he had given thanks, he broke it, and said, “This is my body, which is for you. Do this in remembrance of me.” In the same way also he took the cup, after supper, saying, “This cup is the new covenant in my blood. Do this, as often as you drink it, in remembrance of me.” For as often as you eat this bread and drink the cup, you proclaim the Lord's death until he comes. (cf Matt26:26-28, Mk 14:22-24, Lk 22:19-20). We have here in the words of Paul, a retelling of a tradition and practice that began with Jesus on the night that he was betrayed. That night, He told His disciples to eat bread and drink wine ‘in remembrance of [Him].’ But note the wording in verse 26: This bread and the cup. These are written in what is known as the ‘accusative’ case, which can be best understood as a limiting case (Webb and Kysar, 119-120). For example, in John 8:46, Jesus said: “Which one of you convicts me of sin? If I tell the truth, why do you not believe me?” Here truth is in the accusative case, thus limiting Jesus’ words to truth. So, according to Scripture, we ‘proclaim’ or celebrate ‘the Lord’s death’ not with any old bread, but with this bread. And not just with a cup, but the cup (Biblically speaking, cup doesn’t necessarily refer to the vessel, but more often a reference to its contents). To understand what these are, we need to consider the context in which Jesus gave this instruction. What was Jesus doing on ‘the night He was betrayed’? Then came the day of Unleavened Bread, on which the Passover lamb had to be sacrificed. So Jesus sent Peter and John, saying, “Go and prepare the Passover for us, that we may eat it.” They said to him, “Where will you have us prepare it?” He said to them, “Behold, when you have entered the city, a man carrying a jar of water will meet you. Follow him into the house that he enters and tell the master of the house, ‘The Teacher says to you, Where is the guest room, where I may eat the Passover with my disciples?’ And he will show you a large upper room furnished; prepare it there.” And they went and found it just as he had told them, and they prepared the Passover. And when the hour came, he reclined at table, and the apostles with him. And he said to them, “I have earnestly desired to eat this Passover with you before I suffer (Lk 22:7-15) [emphasis added]. 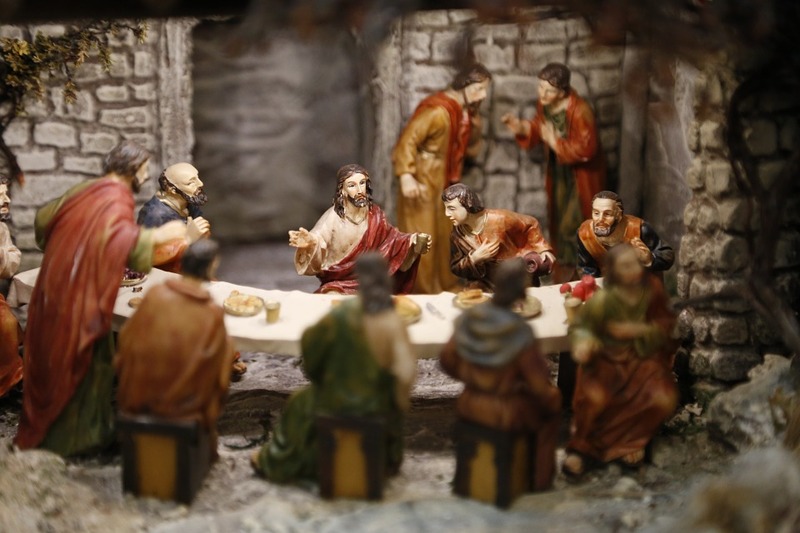 Now, the chronology of the Last Supper and the Crucifixion is a debated one, and not one I intend to resolve completely in this post, but Jesus’ words seem to make it quite clear that they were eating a Passover meal. And I believe He does so in three ways. Firstly, the day ‘the Passover lamb had to be sacrificed’ was the 14th of Nisan (Lev 23:5, Ex 12:6-8, 2Chro 35:1), which by the First Century became known as both Passover and Unleavened Bread (Josephus, Ant. 18.2.2). Secondly, Jesus sent his disciples to prepare the Passover that he may eat it with them. In Matthew, the disciples relay to the man that Jesus had said ‘I will keep the Passover at your house with my disciples’ (Mat 26:18). And thirdly, just before he broke the bread he calls what they are about to eat, 'Passover.' This could be referring to the whole meal itself, but more likely as a shorthand name for the sacrificed lamb (Ex 12:21,43; Deut 16:1-6). The fact that the Pesach lamb or meat eaten from it is not mentioned in the ensuing narrative of the Synoptics should not be considered significant... It is apparent that the Synoptic authors were focusing more on the bread (matzah) and wine since it was through these symbols of the seder that Yeshua emphasize His own death as the Pesach lamb. Observe the month of Abib and keep the Passover to the Lord your God, for in the month of Abib the Lord your God brought you out of Egypt by night. And you shall offer the Passover sacrifice to the Lord your God, from the flock or the herd, at the place that the Lord will choose, to make his name dwell there. You shall eat no leavened bread with it. Seven days you shall eat it with unleavened bread, the bread of affliction—for you came out of the land of Egypt in haste—that all the days of your life you may remember the day when you came out of the land of Egypt. Here, the people are instructed to eat it, (the Passover sacrifice) for seven days with Unleavened Bread. Considering that the lamb sacrificed on the 14th cannot remain after the next day, and that verse 2 talks about sacrificing from the flock or herd (meaning it isn’t just a lamb), it is apparent that sacrifices continued throughout Passover week is what the priests outside of Caiphas’ house were concerned about. But even apart from these explanations, the fact that Jesus said on the day the Passover lambs were sacrificed: ‘Go prepare the Passover’; ‘I will eat the Passover’; and ‘I want to eat this Passover’, it’s quite clear that this bread and the cup that Jesus told us to remember Him by, was the bread and wine of the Passover. Consider this scenario. Say I ask my wife to buy and prepare a roast chicken so that I can eat a chicken with her, and that night I say, 'I have eagerly desired to eat this chicken with you', what do you think I'm eating? Chicken. Do think after all that I'd just not eat it? Why would Jesus and the Passover be any different? In our next post we will be considering: does this paraphrase fit the wider context of 1 Corinthians? Hegg, Tim. The Chronology of the Crucifixion. Torah Resource (2009). “For as often as you eat this bread and drink the cup, you proclaim the Lord's death until he comes” (1Cor 11:26). Now, the incarnation and birth of Jesus is a very significant event in salvation history, please don’t misunderstand me on that. Obviously without the incarnation nothing else would have been possible. What I am wanting to show is the weight and significance Scripture places upon the Passion event compared to Christ's birth. The death and resurrection of Jesus is far more significant for two key reasons. A share in Jesus’ victory over sin and death. The appointment of becoming an ambassador for the Kingdom. The empowerment to live as God created us to live. The significance and weight of the Passion event demonstrates not only the praiseworthy character of Jesus, but also the importance of its memorialisation. Are we putting in the same effort, energy, and enthusiasm, even finances, to celebrating the cross and the empty tomb as we would Christmas, if not more? Shouldn't we be investing more in celebrating the things Scripture encourages us to observe than the celebrations inherited from tradition? During this season, may our Easter cheer outshine our Christmas spirit. In part 2, we will begin to consider how Scripture intended us to memorialise the death and resurrection of Jesus.